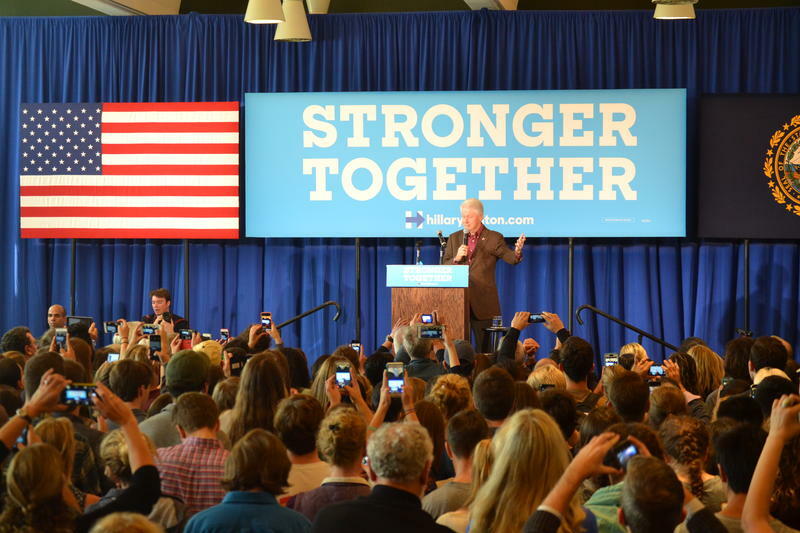 Former President Bill Clinton tells Hanover crowd on Monday, America's future remains bright. 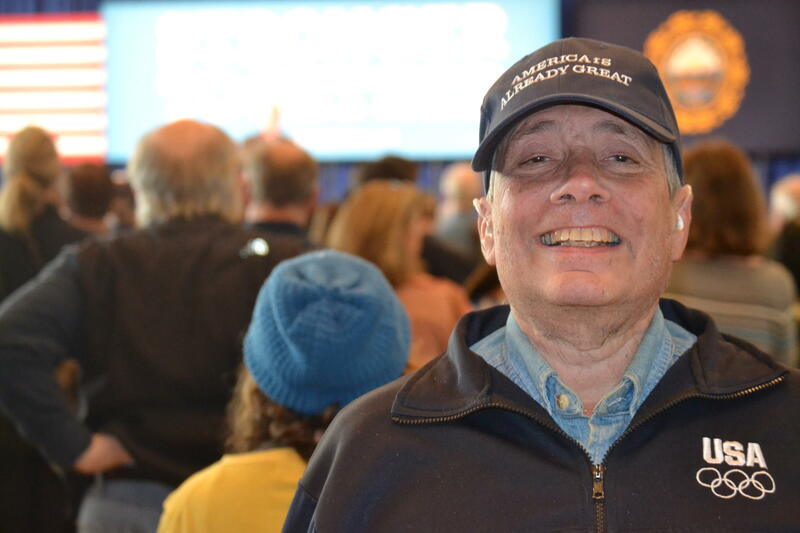 John Tolleris, 64, says Hillary Clinton "is fighting to bring us together, not tear us apart." 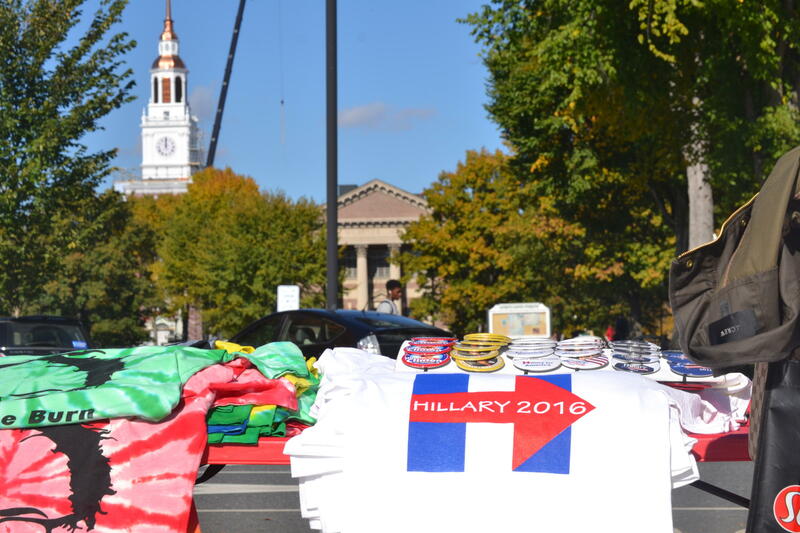 Hillary Clinton memorabilia was being sold outside the Bill Clinton event at Dartmouth College on Monday, Oct. 17, 2016. Bill Clinton told the Hanover crowd he is sick and tired of hearing from the other side that "America is going to Hell in a hand basket." This positive message seemed to strike a chord with people – many of whom said there’s been too much venom and mudslinging this election cycle. Such as John Telleris, 64, who was sporting a hat reading: "America is Already Great." He's been a Hillary supporter since the get-go, he says, "she's fighting to bring us together, not tear us apart." He, like voter John Telleris, said that America is better than ever before, focusing on what he called the social progress and economic growth of the past few years. And he contrasted that vision with what he called Trump’s “hell in a hand basket” rhetoric. 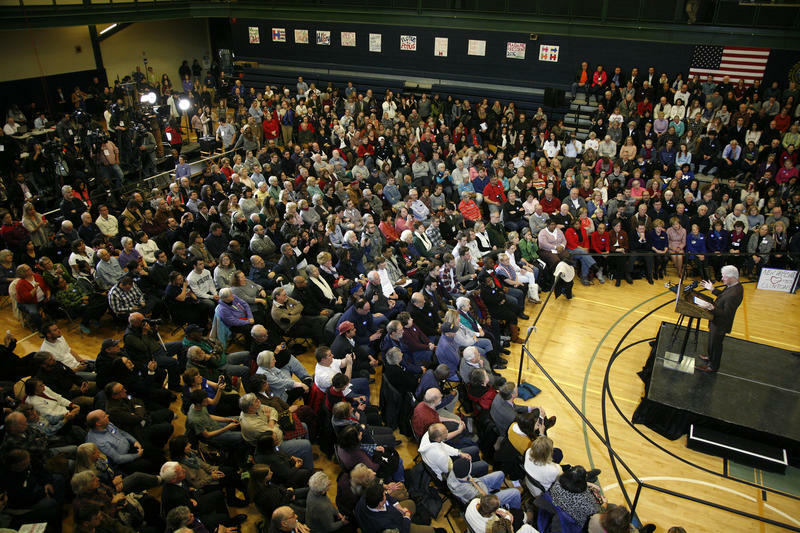 “You cannot give this country’s future away to people who think anger is better than answers, that endless conflict is better than cooperation, and that the path forward in the world is walls not bridges, you can’t do it – it’s your life," Clinton pleaded to the nearly 500 person crowd. He also stressed the importance New Hampshire plays in next month’s election, and cited fond memories of his time in the state when he was campaigning such as attending fairs and the fall foliage. 60 year-old Carol Stedman, who came across the border from Hartland, Vermont to hear Clinton speak, said handing the keys to Hillary is an easy choice for her. "Not only can Hillary drive the truck but she's going to bring everybody in the truck together - stay on the road not drive us off the cliff," Stedman said. During Clinton's 30-minute remarks, he stayed clear of the recent headlines from the other side who've pointed the finger at him when it comes to mistreating women and made accusations that the election is rigged. 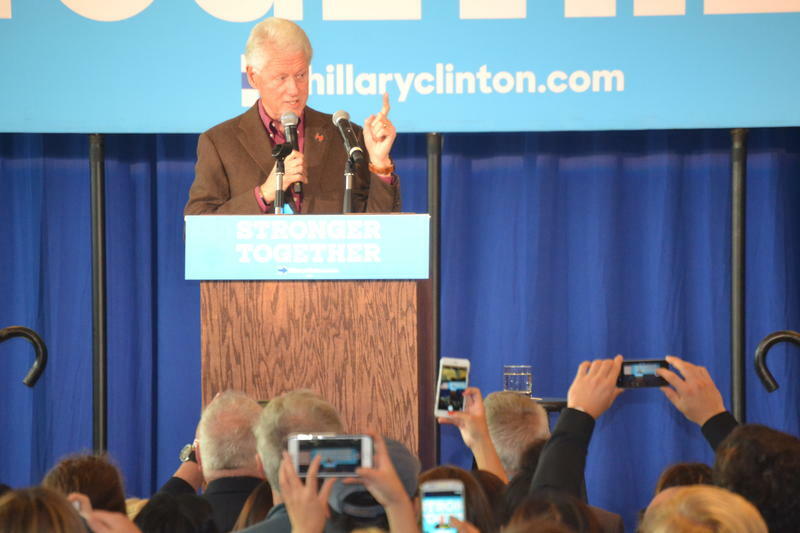 Hargis Thomas, 73, of New London, was pleased Bill Clinton didn't address these concerns. Thomas's thoughts on these claims are simple. "In a word wah, wah, wah," he said with a chuckle. "He [Trump] is just grasping at straws." The former president also made an appearance in Keene. This is Clinton’s first visit to the Granite State since the Primary. 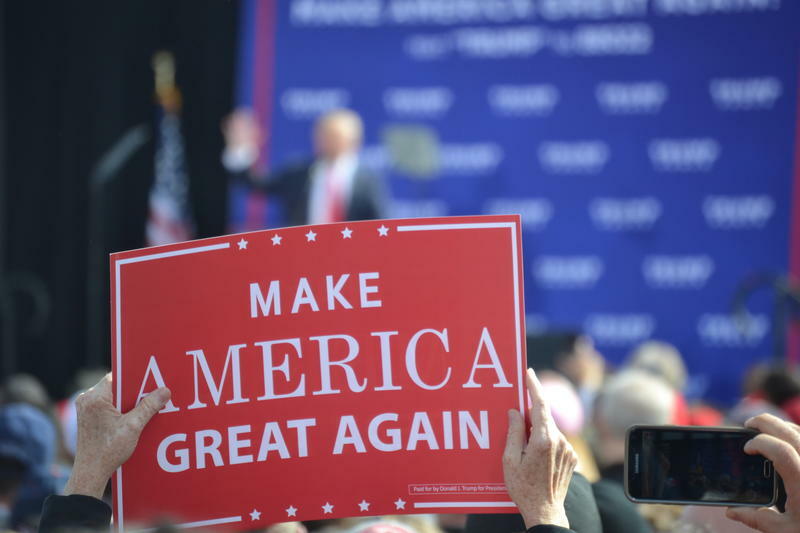 Over the weekend Trump hosted a rally in Portsmouth. The two presidential candidates will face off for their final debate on Wednesday in Las Vegas. Bill Clinton will campaign for his wife in New Hampshire on Monday. The former president plans to make stops at Keene State College and Dartmouth College in Hanover. In Nashua Monday, Bill Clinton drew more than 700 people to his first campaign appearance for his wife this primary season. And while the former president remains popular among New Hampshire Democrats, many in the crowd at Nashua Community College said his wife's candidacy rests on her own record. First Lady Tells N.H. Crowd Trump's Comments Have "Shaken Her"
First Lady Michelle Obama hosted a rally for Hillary Clinton Thursday afternoon at Southern New Hampshire University in Manchester. But Obama's speech didn’t focus on Clinton but rather on Donald Trump’s treatment of women. Jim Lawrence is running for Congress in District 2 in New Hampshire. 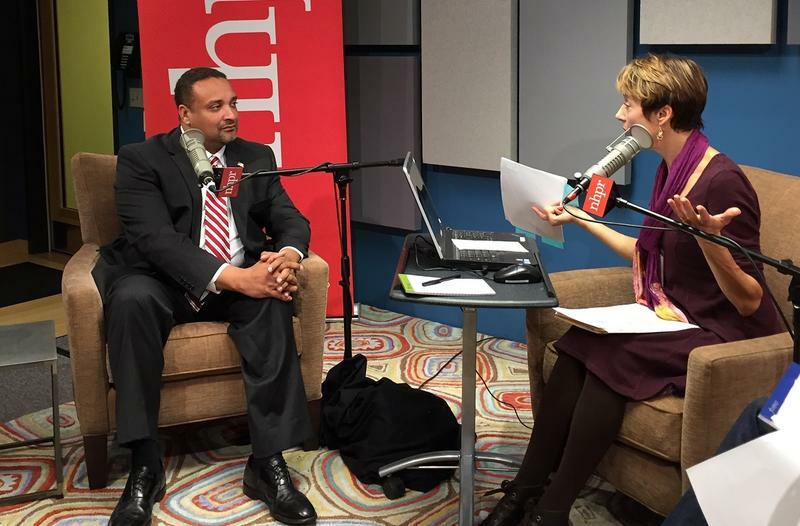 He’s a Republican, going up against incumbent Democrat, Ann McLane Kuster. His pitch to voters relies heavily on his record as what he calls "a small business owner." But it’s hard to get much detail on what exactly that record entails. The latest polls show Hillary Clinton leading Donald Trump by about four percentage points in New Hampshire — closer than in many other battleground states. And for Trump supporters here in the state, a week of increasing allegations didn’t keep them away from a weekend rally in Portsmouth.